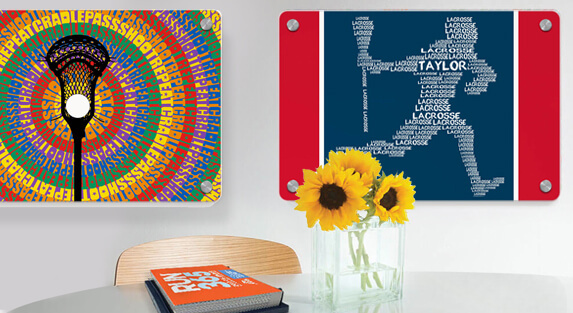 With exclusive designs, many of which can be customized, our 18" X 12" guys lacrosse metal wall art is a great gift for the whole team or a special player. The original art is wall mounted with standoff screws, which suspend the art around 3/4" from the surface of the wall for a distinctive look that stands out when compared to traditional wall mounting. The designs range from playful and fun to motivational and celebrational, so there's the perfect gift for any player. Ideal for the beginning or end of the season, as well as other occasions, such as a birthday or holiday, proud players will love to display this original art for years to come.